Ramen Burger creator Keizo Shimamoto is looking to tantalize hipster taste buds all over again with the introduction of new creations inspired by several of his fellow Smorgasburg neighbors. Shimamoto debuted three mouthwatering photos on his blog earlier this week detailing each new Ramen Burger. The Adobo Shack Ramen Burger draws from Filipino influence with the usual wagyu patty replaced with pork belly braised in soy sauce and vinegar. It also looks like there’s some cilantro tucked into the sammie along with some hot sauce and greens nestled between those signature ramen noodle buns. 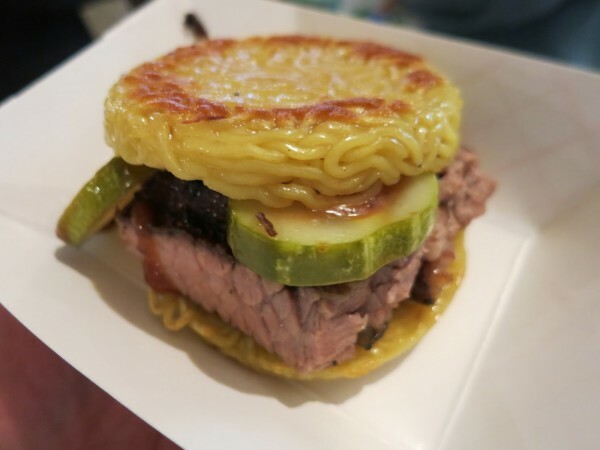 The Lonestar Empire Ramen Burger is an East meets West fusion with a thick cut of brisket over barbecue sauce and some fatty sliced pickles. 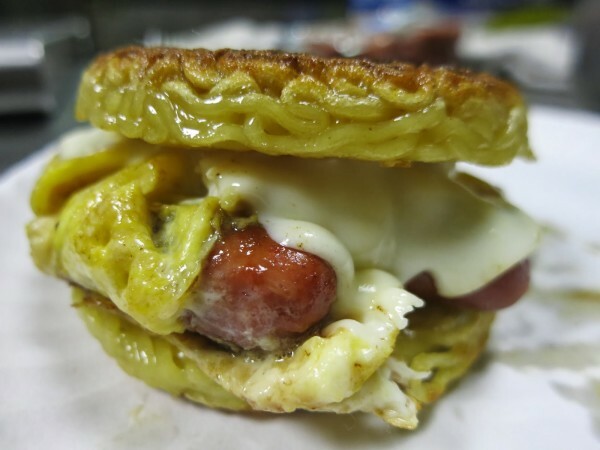 Shimamoto’s original “what-if” idea was the Breakfast Ramen Burger made up of eggs, cheese and sausage. Drool. 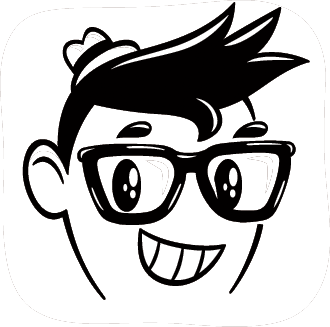 As crazy as it is genius it was this morning mashup that originally led him to collaborate with other Smorgaburg vendors. 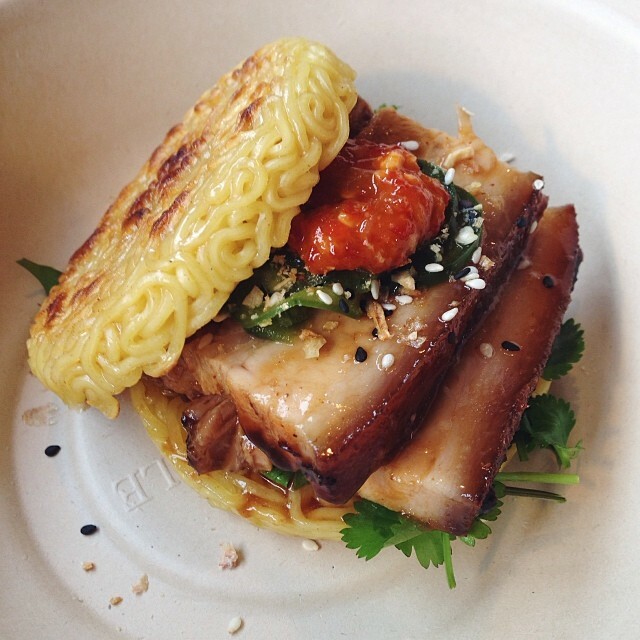 Not gonna lie, that Breakfast Ramen Burger looks like something out of my wildest food dreams. No word yet on when these new additions will make their Smorasburg debut but there’s no doubt they’ll be just as delicious as the O.G. Ramen Burger. This entry was posted in Design, Food, Links, Musings, Photo, Style and tagged adobo, Adobo Shack Ramen Burger, Breakfast Ramen Burger, Brooklyn, Filipino, food, Japan, Japanese, Keizo Shimamoto, Lonestar Empire Ramen Burger, New York, ramen, Ramen burger, Smorgasburg, soy sauce, wagyu. Bookmark the permalink.